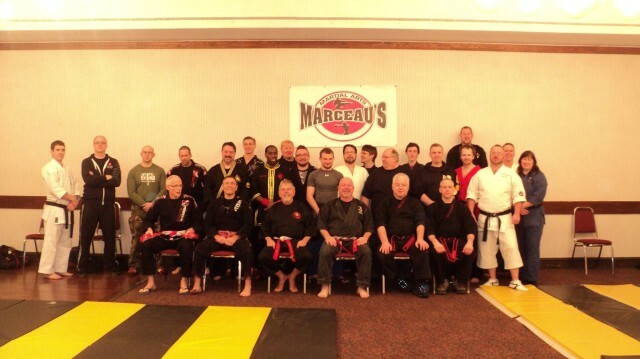 The weekend of Feb 19, 2016 marked the third annual Martial Arts Warrior’s Weekend in North Bay, Ontario. 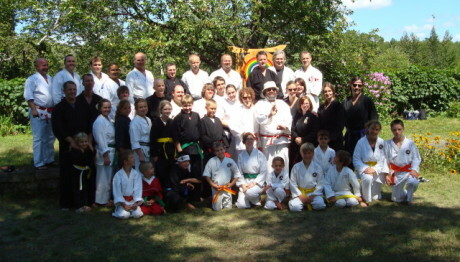 Once again martial artists throughout Ontario and New York state came together for a weekend of training and comradery. 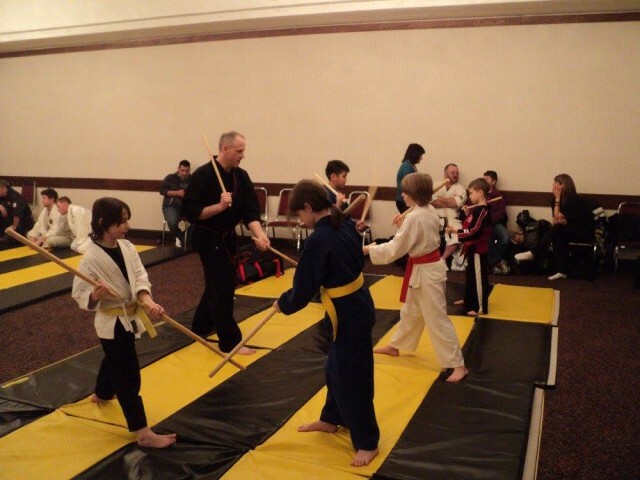 Sudbury School of Martial Arts was once again a proud part of this event. 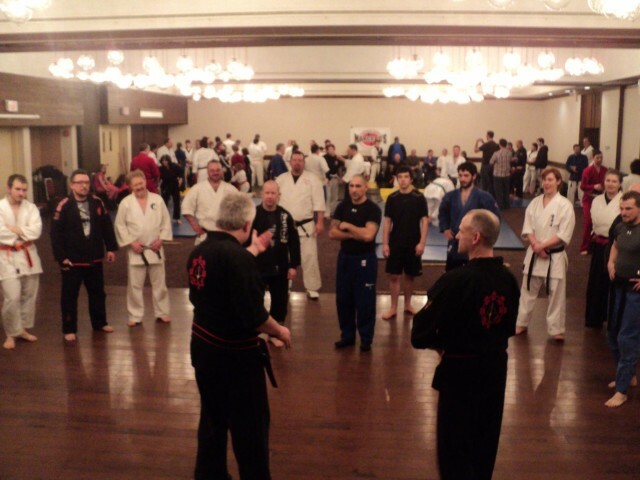 We had our members participating in the various seminars throughout the weekend. This year Datu Tim Hartman made the trip up from Buffalo to share his knowledge with the participants at MAWW III. I had the privilege to teach multiple sessions on Saturday and Sunday jointly with him. 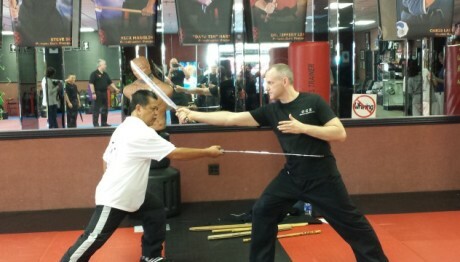 First session on Saturday Datu Tim and myself brought the group through basics disarms with the stick. After everyone was moving well and had the technique down, we completed the session by moving over to the empty hand application of the move. In the afternoon, Datu Tim work into the empty hand applications of our sinawalis. This gave everyone a different outlook into Presas Arnis and how versatile the system is. The session finished off with empty hand application transitioning into multiple opponent defense. Saturday evening banquet was a great social event as previous years. We had an illusionist entertained us right after dinner. He put on an excellent show. After the show, several groups performed some material art demonstrations. I had an opportunity to demonstrate our core material with Datu Tim. Very different working stick material in a shirt and tie. Sunday morning session was with the children’s 9 & under group . This was a great class with lots of energy. They all did very well learning basic sinawalis both empty hand and stick. We then geared up and started some sparring sessions.The energy went through the roof. Final session of the weekend was another joint session with Datu Tim. We started off with stalemate position with the knife. This got the energy going. The second half of the session had all the participant working through part of the cross arm locking set. This put everyone into unknown territory but soon everyone was moving well. 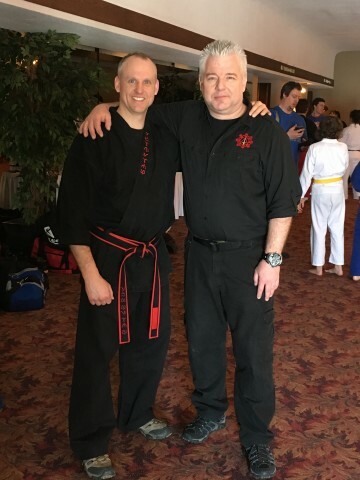 It was another amazing weekend and I am glad I was able to share various aspects of Presas Arnis with the participants at MAWW III. It was great being able to jointly do this with my teacher and mentor Datu Tim Hartman.